You should take breaks when you’re playing. And if you’re biting down too hard on your bottom lip, it’s going to hurt more. Maybe play for 20 minutes at a time, then take a few minutes break. You should still play for an hour. But don’t overwork yourself by playing constantly. It’s like if you were in a gym doing exercises, you drink water, take breaks, etc. Similarly, to strengthen your muscles- you gradually do more repetitions and more weight. Don’t rush it too much. Do the same thing for saxophone and your muscles will strengthen and you won’t feel as tired after playing for a while. You’ll still need patience, but it won’t be by hurting yourself- it will be by taking breaks which will extend your practice session a little bit. How Long Should You Practice Sax? Neal, since you checked out my site, I thought I’d return the favor. Nicely done! You offer some great pointers, and your enthusiasm and honest love of what you do come through in your words. Your advice about breaking up the practice session into smaller segments while developing the embouchure is excellent. In fact, it’s good advice anytime, period. Something about taking short breathers–or even coming back an hour or two later–gives the brain space to process what has been practiced, then reinforce it with further practice. Works for me, anyway. .-= Bob´s last blog ..Once There Were Trains =-. Good to see you on here. What kind of music do you play? This is my first time on the site and im loving it. My question is how do i control my breathing or maybe breating exercises, like i’ve seen Kirk W blowing and at the same time breathing in, how do that? Cool, good to hear from you. He’s doing something called ‘circular breathing’ (most likely). If you’re an advanced player, it could be a thing you want to add to your techniques. If you haven’t been playing too long, don’t worry about it yet. and give a link to a page that describes how to do it. I wanted to share a tip about Circular breathing with your readers. I don’t personally use it on a tenor. But an aborigine in Australia showed me in a very simple manner, how this is done on the native Didgeridoo (I may be a bit off on the spelling). This instrument, invented by the Aussie aborigines, is simply a long piece of wood hollowed out. As far as I know, Its hollowed out by getting termites to eat the insides!! I hope someone more knowledgeable will post more on this.The mouth end of it is coated with a fairly hard wax. The other end rests on the ground/floor. They blow into this and make incredible sounds by vibrating their lips. What he showed me was…. Put a bit of water into a glass. Put a straw into the glass. They gently blow a stream of air thru. As you get close to the end of your breath, fill your cheeks with air. Then simultaneously close your Nasal passage and take a quick intake of air into your lungs while simultaneously squeezing your cheeks for outflow. I don’t know whether I am describing this well. But I can do it, and there is a continuous stream of air and bubbles thru the straw! I was an old man of 11 when I started. But seriously, I think you’ll be fine. Sounds like you have dedication. And you played keyboards before, so I’m assuming you can play music. You just need to transfer what you know to the sax, which is different in terms of technique and approach somewhat. Seems like you’re on track to go where you want to go. I just started playing the sax last Nov’10. I have no prior musical experience. I will be 63 in August and loving the tenor sax. It’s like I can’t get enough. I dream, eat and sleep it. I sometimes wish I could have been very young when starting. I sometimes feel as though I am in a foot race, trying to catch up. My wife tells me to slow down but I tell her that this is my life now, and I envision myself in my retirement years playing the sax everyday. That’s awesome you’re having fun with it! Probably everyone wishes that had started earlier, so don’t worry about it. That’s good you’re playing every day, that’s the fastest way to get better. I’ve been played saxophone for a years ago (2008-2009). Alto saxophone which I played. I sold it then, because I need much money for my school. And, now, I really love to blow saxophone again. Instrument which I choose is Straight Soprano one. According to you, after I spent long time no practice and blow the saxophone, can I choose the soprano to be my instrument? I would say to go ahead and play soprano if that’s the saxophone you like the sound of best. For me, I have spent most of my time on the saxophone on tenor. Tenor sax is therefore most comfortable. In the last few years I have spent some more time on alto, so it has become more comfortable but not as much as tenor. 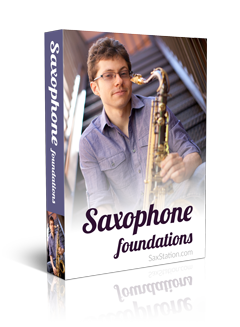 The type of saxophone you play most will likely become most comfortable. It’s not too difficult to switch between saxophones (alto/tenor/soprano/bari/etc) but they are a little different. Your fingers probably aren’t very accurate, check out http://saxophonetribe.com if you want to work on that with my help.